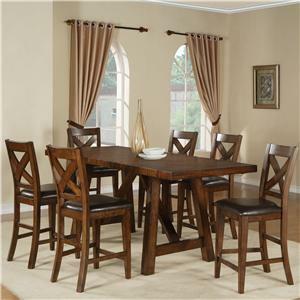 Accent your dining area with the warm transitional style this Colonial Counter Height Table and Stool set. Crafted from Mango wood solids and veneers, the table blends classic style with modern height to bring your informal eating area an eye-catching look. 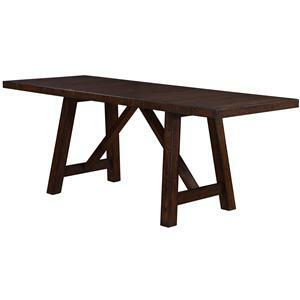 The table stands on a beautiful trestle base and includes two 13-inch leaves, allowing you to make more elbow room and accommodate more family and friends. The set's Burnished Mango finish brings rich coloration to the design and is sure to warm any existing decor with its presence. 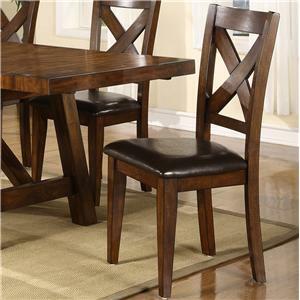 Complete the look of your eating area with this magical pairing of the Colonial Counter Height Table with the X back pub chairs. 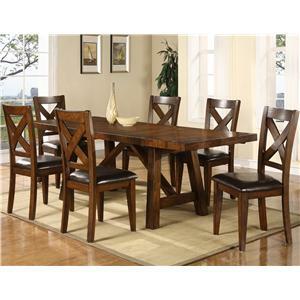 The Lakeshore 7 Piece Counter Height Table and Stool Set by Holland House is available in the area from FMG - Local Home Furnishing. 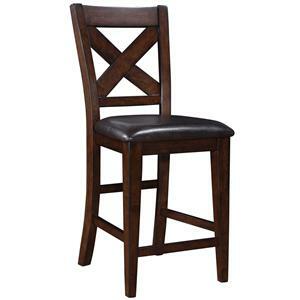 1278-226843 X Back Pub Chair 6 22" 19" 43.25"
1278-TPB3696 Colonial Counter Height Table 1 96" 36" 36"
Bring casual comfort into your home with the Lakeshore 1278 collection. This collection of dining room options for the modern family offers a counter height table and pub chairs, plus a dining server to bring your space organization. Crafted from mango solids and veneers, the 1278 collection boasts a beautiful blend of classic style at a contemporary height. 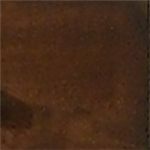 The Burnished Mango finish adds rich sophistication to the overall look. An X motif is seen throughout the collection on the pub chair back and the doors of the server, adding distinctive eye-catching style. Welcome warmth and functionality into your home with the Lakeshore collection. 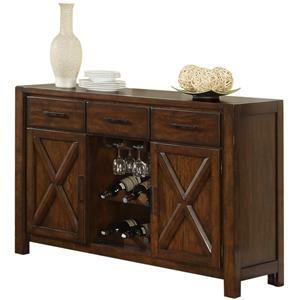 The Lakeshore collection is a great option if you are looking for Casual furniture in the area. Finish & Paint Options This collection is finished in Burnished Mango. Case Detail Square tapered legs and a trestle base lends a warm, transitional style to the overall collection. 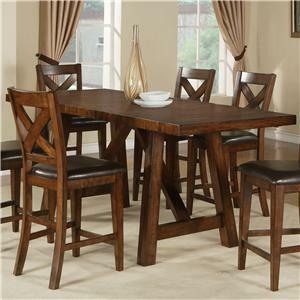 Description: Top Sleek tabletops of Mango solids and veneers provide pieces with striking, clean style. Case Construction This collection is crafted from Mango solids and veneers. Browse other items in the Lakeshore collection from FMG - Local Home Furnishing in the area.